Look good and feel good while you shoot hoops. A performance shooter tank with a modern fit and natural feel for superior comfort. Drying wicking properities helps keep your focus on the game, not on your sweat! 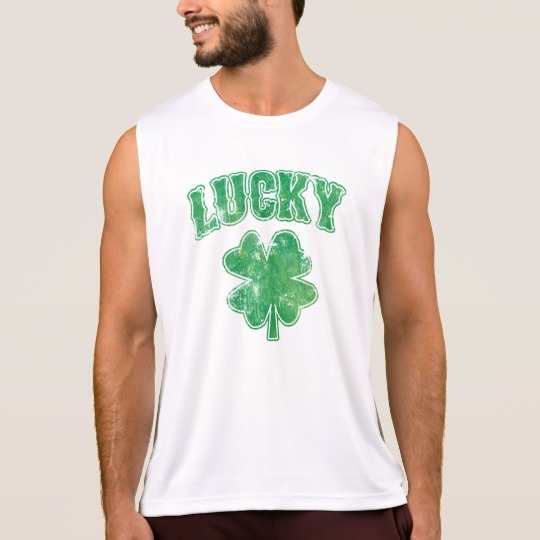 Lucky in faded green Irish bar style lettering above a faded four leaf clover. 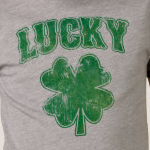 This lucky 4 leaf clover might get you lucky on Saint Patrick's day.